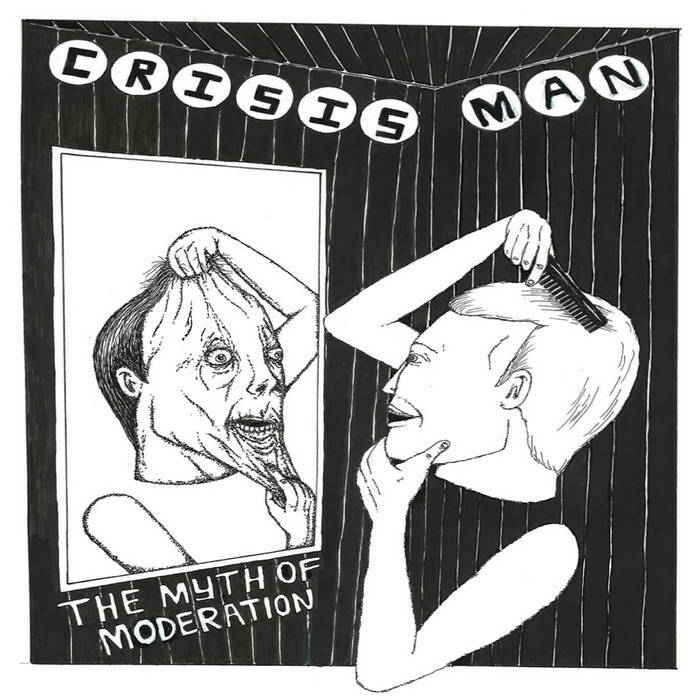 CRISIS MAN "The Myth of Moderation" 7"
Home > NEW ARRIVALS > CRISIS MAN "The Myth of Moderation" 7"
"Crisis Man return with their 2nd effort, The Myth Of Moderation. Featuring Ross Farrar from Ceremony on vocals and Ben Wright from Acrylics / Rut on guitar, this 7" packs all the energy of early Ceremony perfectly complemented by Ben's chorused out guitar riffs. An aural display of what living in the bay area feels like, the rent is due, the car doesn't run anymore, a techie just took the last seat on the crowded BART car. The glass was full to the brim with anxious energy already, but now it's been knocked on the floor." -Digital Regress.